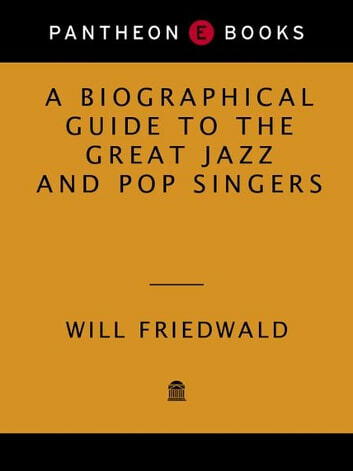 Will Friedwald’s illuminating, opinionated essays—provocative, funny, and personal—on the lives and careers of more than three hundred singers anatomize the work of the most important jazz and popular performers of the twentieth century. From giants like Ella Fitzgerald, Louis Armstrong, Frank Sinatra, and Judy Garland to lesser-known artists like Jeri Southern and Joe Mooney, they have created a body of work that continues to please and inspire. Here is the most extensive biographical and critical survey of these singers ever written, as well as an essential guide to the Great American Songbook and those who shaped the way it has been sung. The music crosses from jazz to pop and back again, from the songs of Irving Berlin and W. C. Handy through Stephen Sondheim and beyond, bringing together straightforward jazz and pop singers (Billie Holiday, Perry Como); hybrid artists who moved among genres and combined them (Peggy Lee, Mel Tormé); the leading men and women of Broadway and Hollywood (Ethel Merman, Al Jolson); yesterday’s vaudeville and radio stars (Sophie Tucker, Eddie Cantor); and today’s cabaret artists and hit-makers (Diana Krall, Michael Bublé). 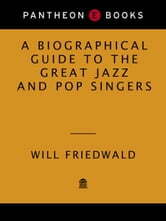 Friedwald has also written extended pieces on the most representative artists of five significant genres that lie outside the songbook: Bessie Smith (blues), Mahalia Jackson (gospel), Hank Williams (country and western), Elvis Presley (rock ’n’ roll), and Bob Dylan (folk-rock). Friedwald reconsiders the personal stories and professional successes and failures of all these artists, their songs, and their performances, appraising both the singers and their music by balancing his opinions with those of fellow musicians, listeners, and critics. This magisterial reference book—ten years in the making—will delight and inform anyone with a passion for the iconic music of America, which continues to resonate throughout our popular culture.